"Captain June" teaches visitors about threats to the turtles. camera (Umit Bektas/Reuters) A sea turtle swims back to the sea following her release after treatment at the Sea Turtle Rescue Center (DEKAMER) as tourists look on at Iztuzu Beach near Dalyan in Mugla, Turkey, Aug. 25, 2018. June Haimoff first stumbled across a loggerhead turtle on Turkey's southern coast more than 30 years ago. It was a chance encounter that changed her life and the future of the beach she was wandering along. 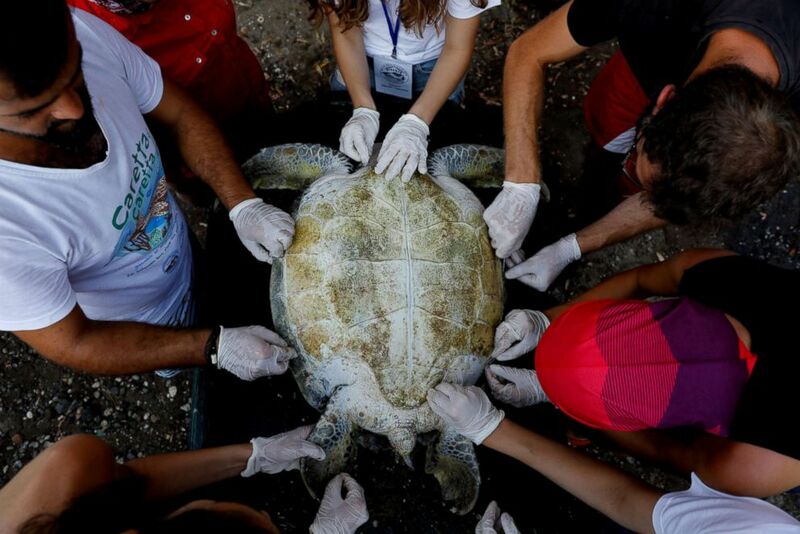 (Umit Bektas/Reuters) An injured sea turtle is examined by Sea Turtle Rescue Center officials upon her arrival to the center at Iztuzu Beach near Dalyan, Turkey, July 18, 2018. 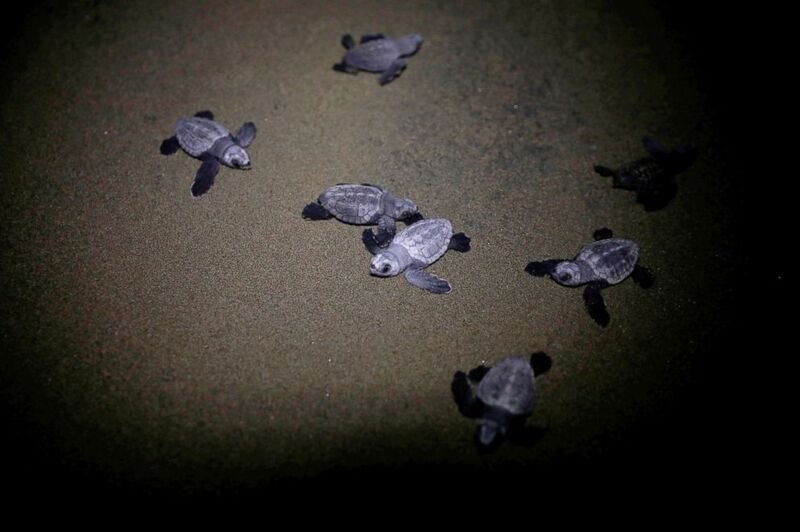 (Umit Bektas/Reuters) Baby sea turtles crawl to the sea following their release after treatment at the Sea Turtle Rescue Center at Iztuzu Beach near Dalyan, Turkey, Aug. 25, 2018. 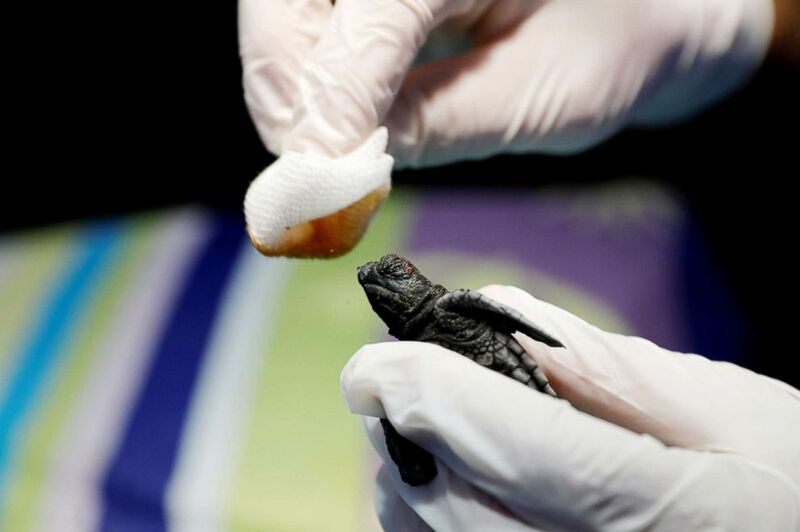 (Umit Bektas/Reuters) Professor Yakup Kaska dresses a wound on a baby sea turtle at Sea Turtle Rescue Center at Iztuzu Beach near Dalyan, Turkey, Aug. 25, 2018. 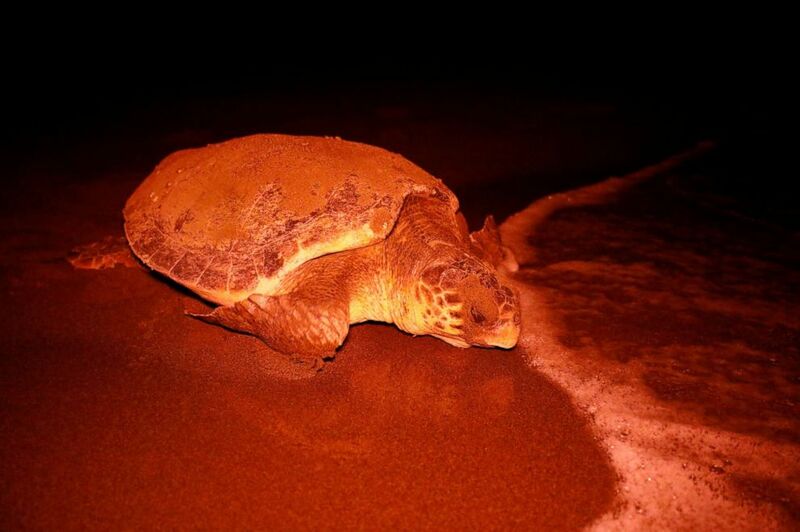 "When I first saw a sea turtle laying eggs, I watched without moving. I remember tears in my eyes," she said. "From that day I started to collect any kind of information about them that I could." (Umit Bektas/Reuters) A sea turtle swims back to the sea following her release after treatment at the Sea Turtle Rescue Center (DEKAMER) as tourists look on at Iztuzu Beach near Dalyan in Mugla, Turkey, Aug. 25, 2018. In 1987, Haimoff and a group of friends fought successfully to block a hotel construction project which would have endangered the turtles' breeding ground on the beach. 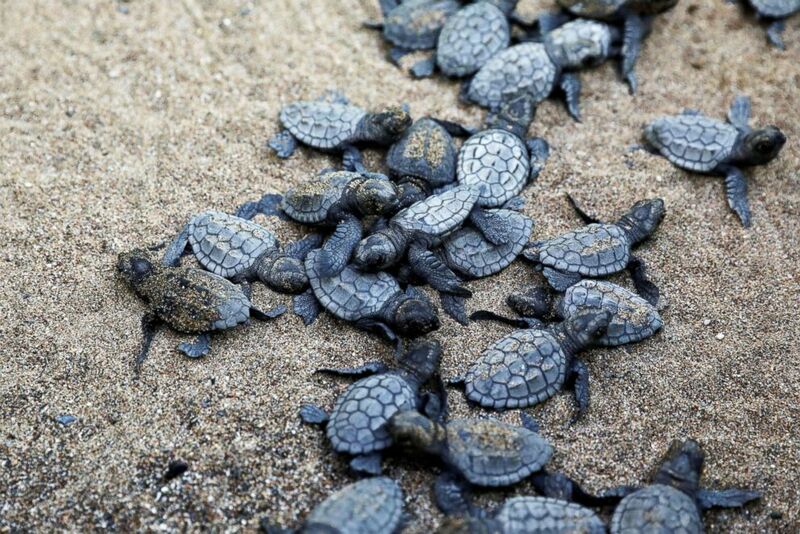 (Umit Bektas/Reuters) Baby sea turtles crawl to the sea at Iztuzu Beach near Dalyan, Turkey, July 17, 2018. (Umit Bektas/Reuters) A sea turtle returns to the sea after laying eggs at Iztuzu Beach near Dalyan, Turkey, July 4, 2018. 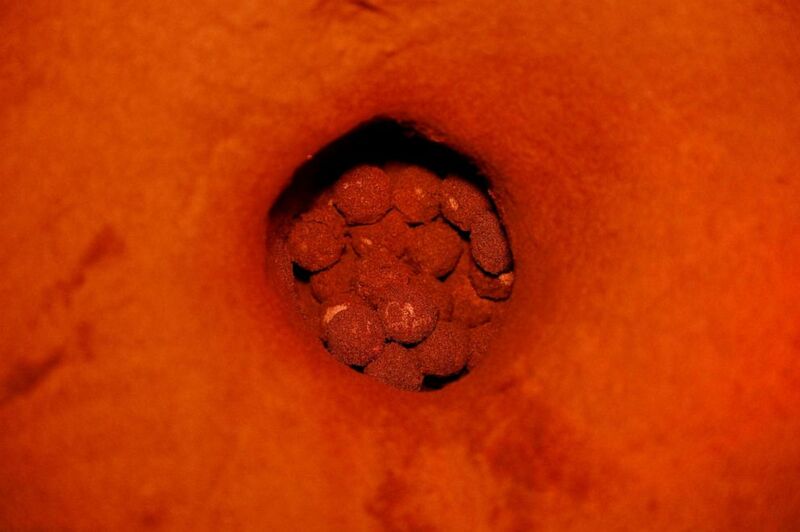 (Umit Bektas/Reuters) Sea turtle eggs which will be transferred to a safer part of the beach are seen in an open nest at Iztuzu Beach near Dalyan,Turkey, July 4, 2018. 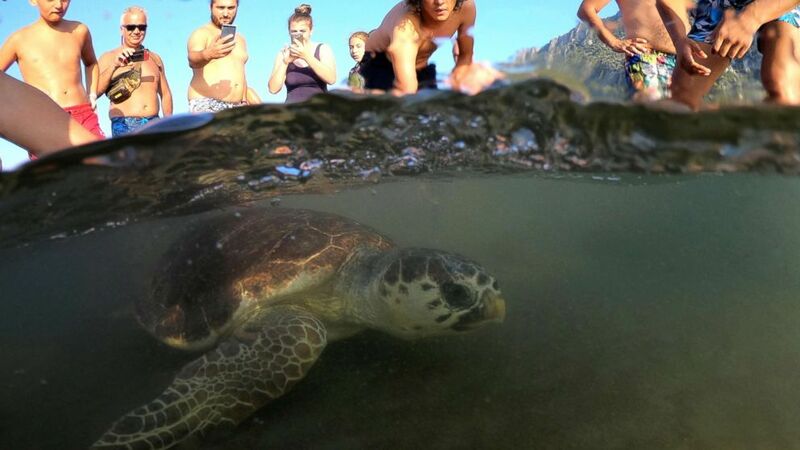 The group's president, Yakup Kaska, who first volunteered at Iztuzu in the early days of the conservation project, says the main threats the turtles face are getting struck by boat propellers, swallowing or getting tangled in fishing lines, and eating clear plastic items which they mistake for jellyfish. 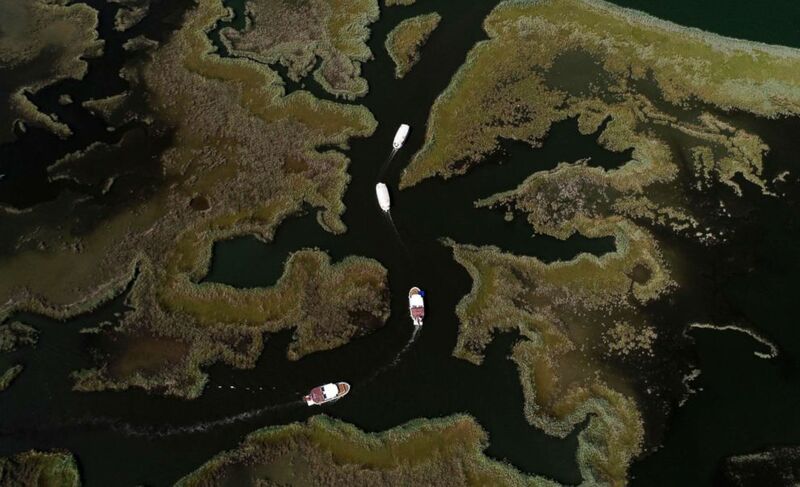 (Umit Bektas/Reuters) Local cruise boats carry tourists on the Dalyan river from Iztuzu Beach to Dalyan, Turkey, July 6, 2018. Haimoff, fondly known as "Captain June" because of her love of the sea, teaches visitors about those threats to the turtles, and trains her young students in environmental preservation. "I'm a woman in love with the turtles," she says. 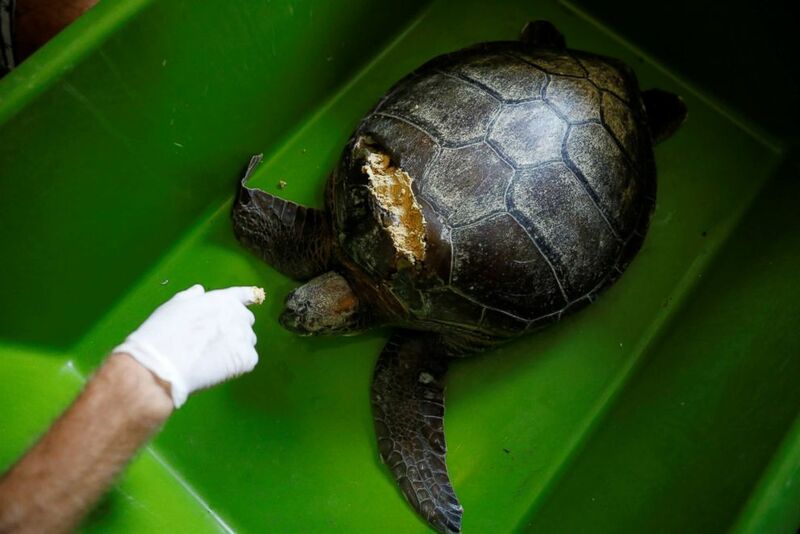 (Umit Bektas/Reuters) Sea Turtle Rescue Center officials inject beeswax into the shell of a sea turtle which was injured by a boat propeller, at their center at Iztuzu Beach near Dalyan, Turkey, July 18, 2018. (Umit Bektas/Reuters) Professor Yakup Kaska puts a sea turtle back into her open-sea cage after a medical check at the Sea Turtle Rescue Center off the shore of Iztuzu Beach near Dalyan, Turkey, Aug. 25, 2018.